When you need to understand the best possible options for your life ahead, Doris Bersing can design a roadmap. You may desire to continue living at home as you age, or find the right living community. 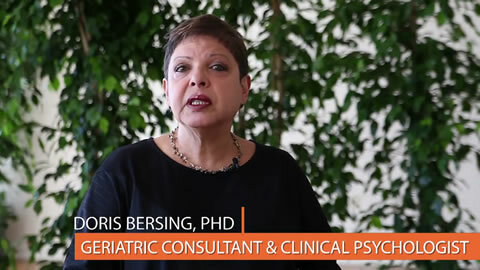 As a geriatric consultant, Doris empowers aging individuals and their families, helping them understand their choices and available resources. If you desire to live in your home, Doris will help you understand the necessary steps to make that happen. She has deep expertise in home care safety and advanced technology solutions that support independent living, including monitoring, alerting and medication management systems. She can recommend the modifications and adaptations to your home’s physical environment that help prevent accidents, falls and injuries. It all starts with a comprehensive, personalized assessment of your current situation and future needs. This holistic assessment provides a list of choices for you, as well as peace of mind for your family members. At the end of your personalized assessment, you will receive a comprehensive report, including a “to do” list. Doris can then connect you with the right resources to implement your roadmap. If you need assistance with its implementation, Doris can provide that as well.